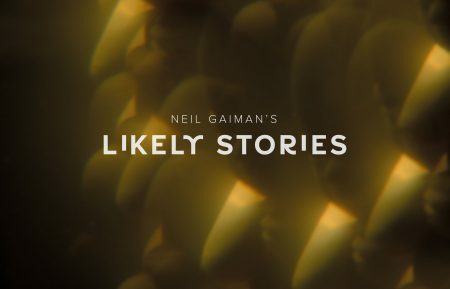 Eisner-award winning creator Mark Buckingham is adapting four of New York Times best-selling author Neil Gaiman’s prose short stories for the upcoming graphic novel anthology LIKELY STORIES, to be published as a hardcover original graphic novel by Dark Horse Book later this year. Buckingham (Fables), will adapt and illustrate the stories “Looking for the Girl”, “Foreign Parts”, “Closing Time”, and “Feeders and Eaters.” These dark and imaginative tales feature an odd and subtly linked world of bizarre venereal diseases, a creepy old woman who feasts on raw meat, a man obsessed with a skin model from a magazine, and a story within a story about ghosts. LIKELY STORIES will retail for $17.99 when it goes on sale in comic shops on August 29 and in bookstores on September 11, 2018. LIKELY STORIES is the latest adaptation to join Dark Horse Books’ prestigious Neil Gaiman Library, joining AMERICAN GODS: SHADOWS featuring script and layouts from P. Craig Russell and art by Scott Hampton; FORBIDDEN BRIDES OF THE FACELESS SLAVES IN THE SECRET HOUSE OF THE NIGHT OF DREAD DESIRE adapted by Shane Oakley; HOW TO TALK TO GIRLS AT PARTIES adapted by Fábio Moon and Gabriel Bá; ONLY THE END OF THE WORLD AGAIN featuring script and layouts from P. Craig Russell, art by Troy Nixey and colors by Matt Hollinsworth; and TROLL BRIDGE adapted by Colleen Doran. Rights were acquired from Gaiman’s literary agent, Merrilee Heifetz at Writers House. Neil Gaiman is the celebrated author of books, graphic novels, short stories, films and tv for readers of all ages. Some of his most notable titles include the highly lauded 2017 #1 New York Times bestselling NORSE MYTHOLOGY, coming out in paperback March 6, the groundbreaking #1 New York Times Bestselling and Award Winning Sandman comics series; The Graveyard Book (the first book ever to win both the Newbery and Carnegie medals); American Gods, winner of many awards and recently adapted into the 2017 critically acclaimed Starz tv series (Season 2 slated to air in 2019); and The Ocean at the End of the Lane, the UK’s National Book Award 2013 Book of the Year.